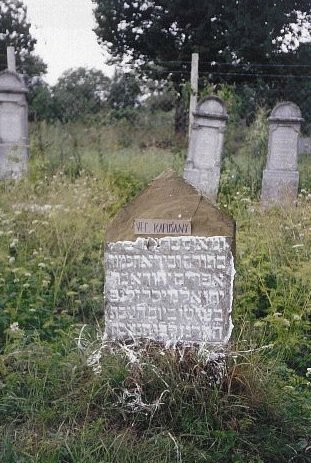 Vel'ké Kapušany had a synagogue, mikvah and cemetery. 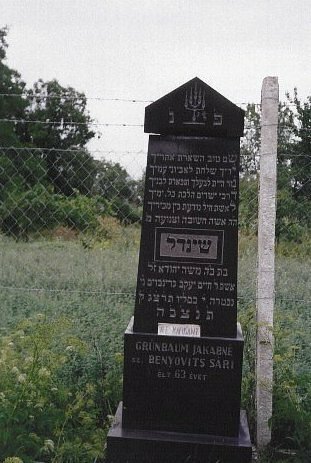 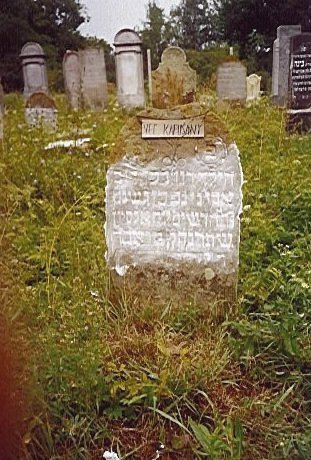 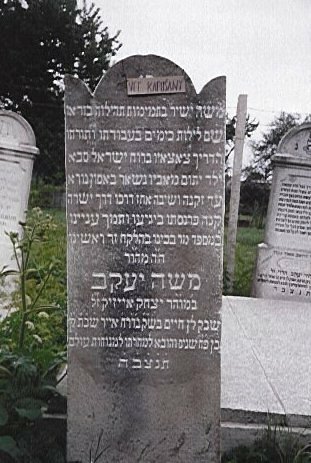 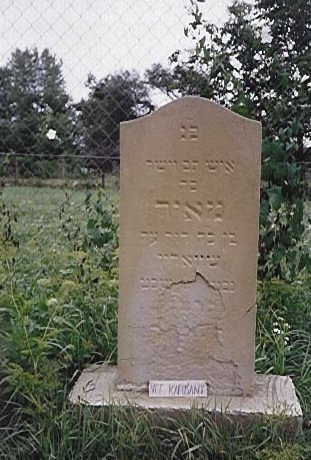 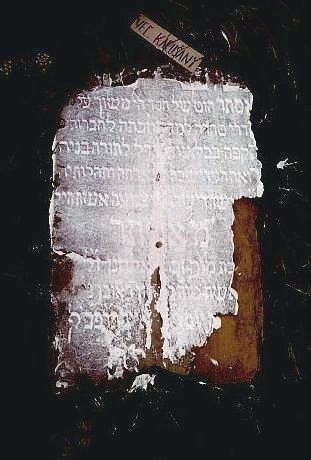 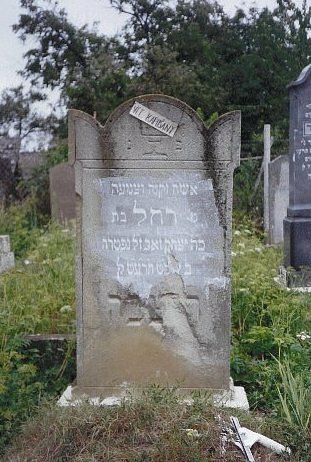 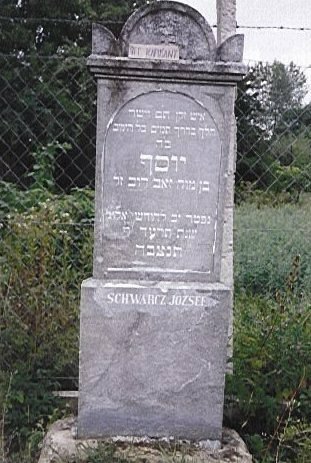 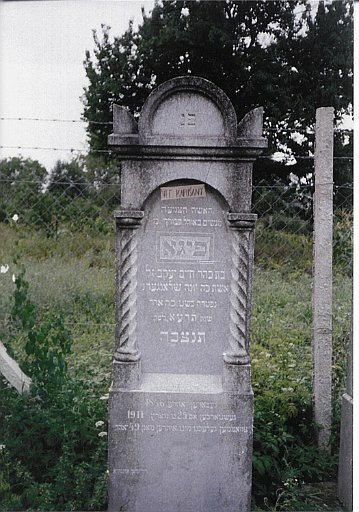 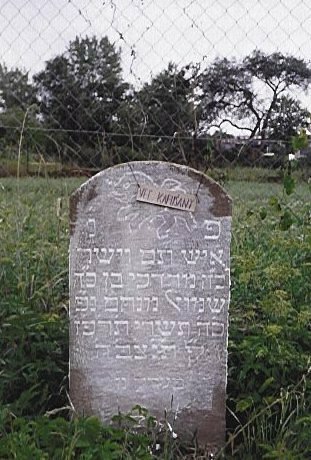 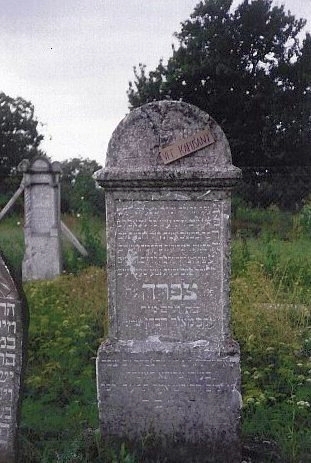 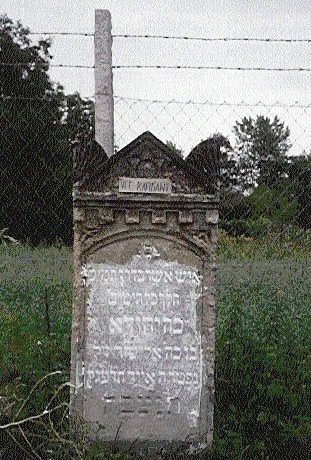 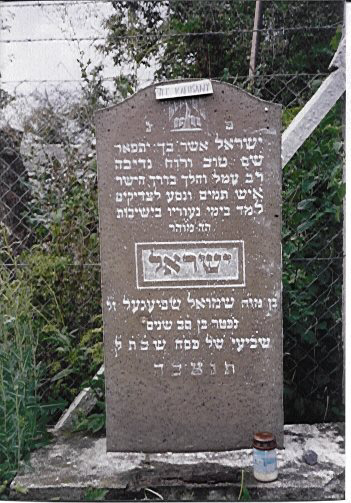 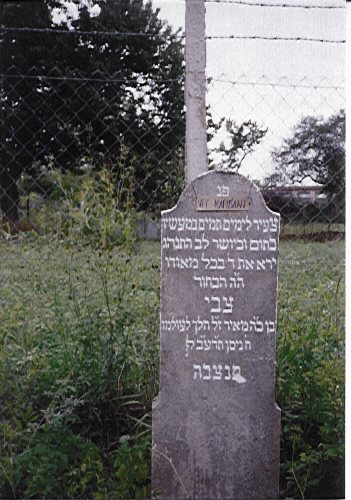 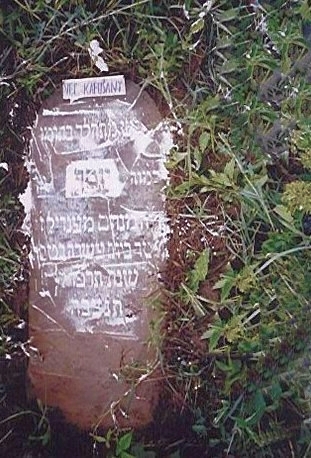 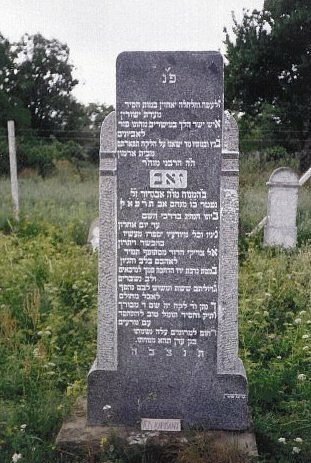 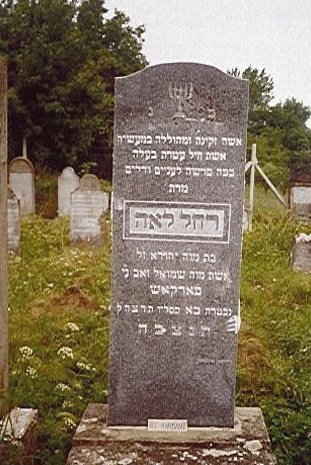 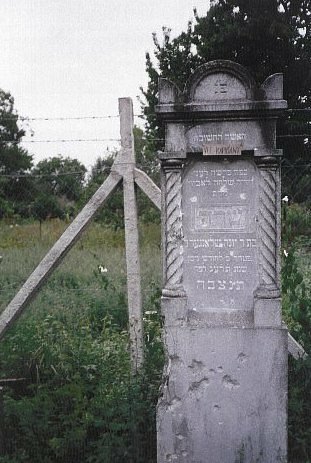 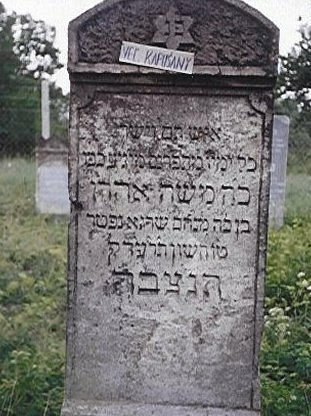 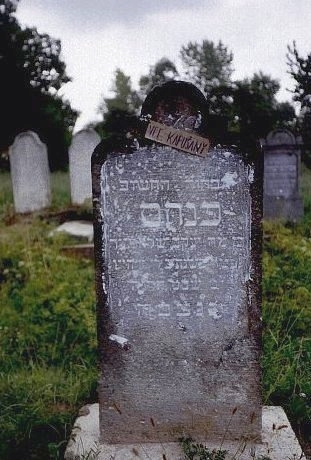 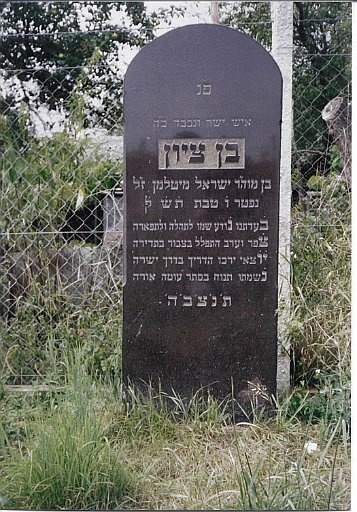 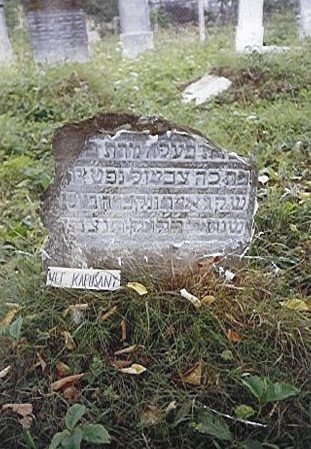 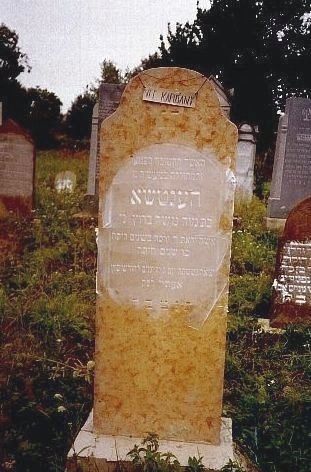 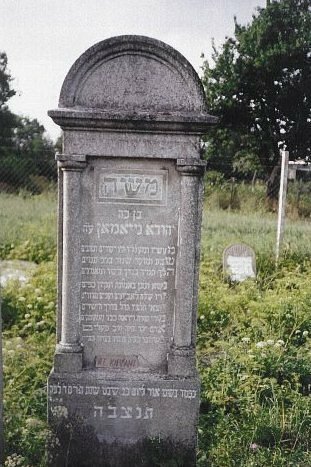 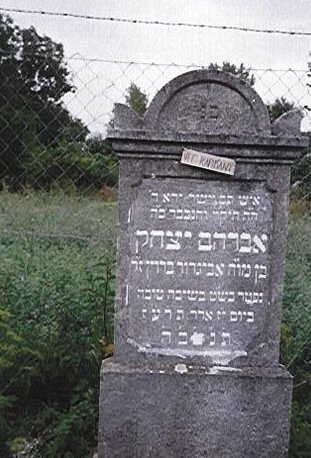 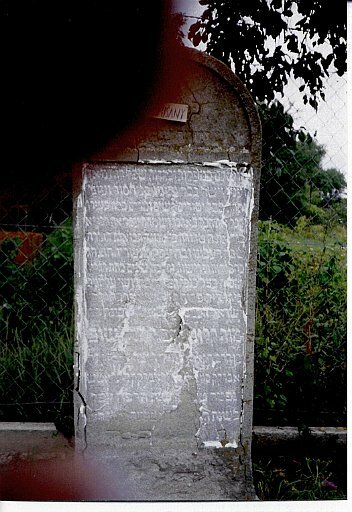 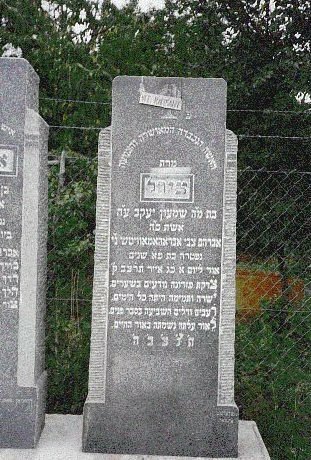 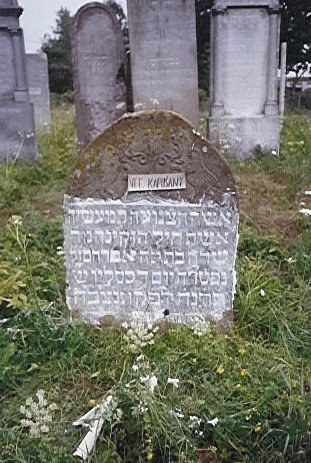 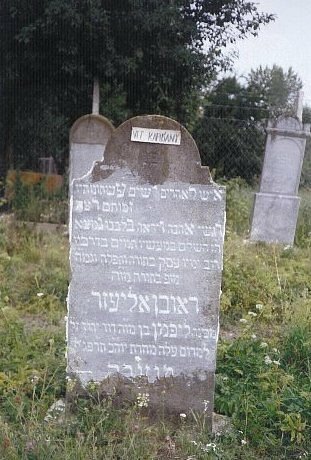 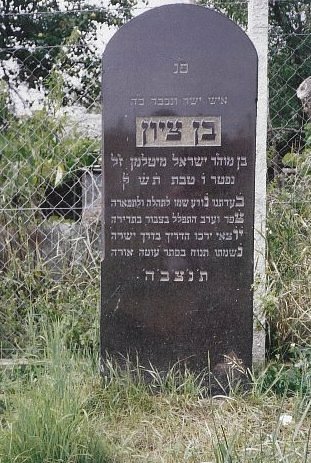 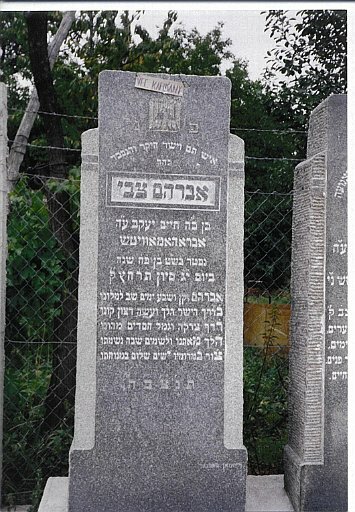 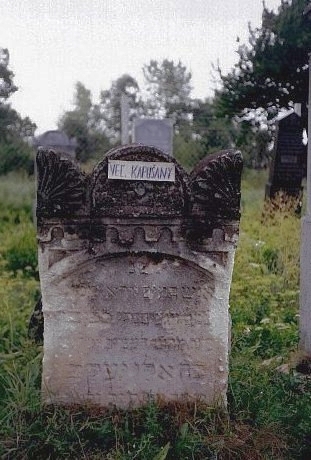 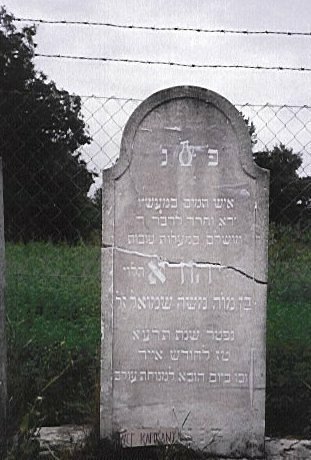 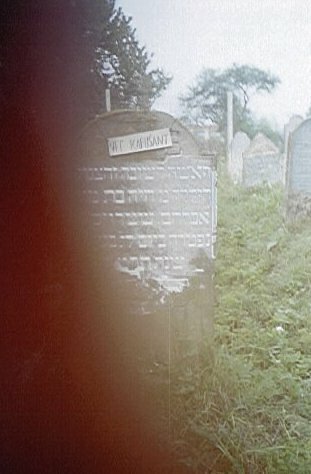 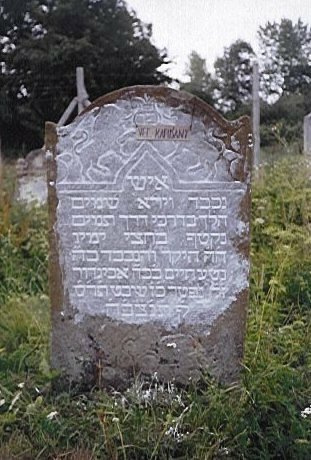 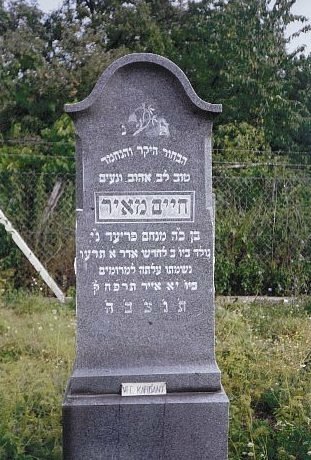 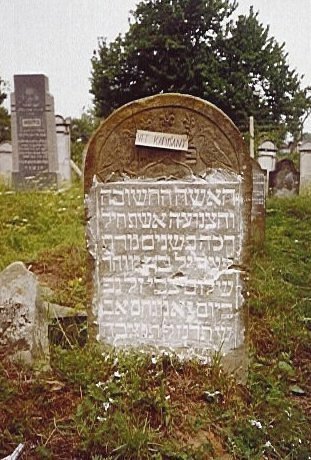 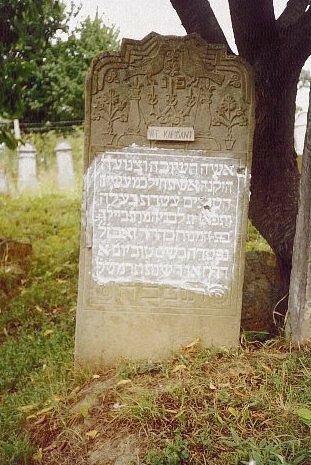 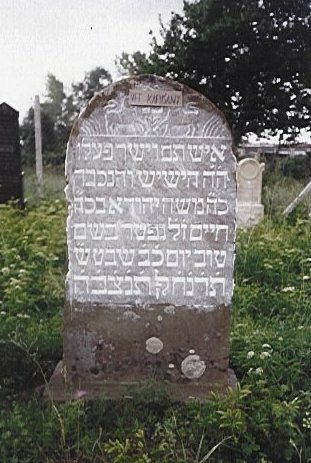 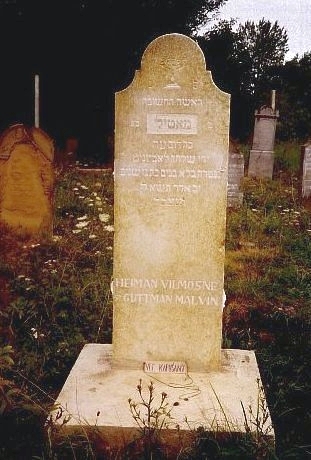 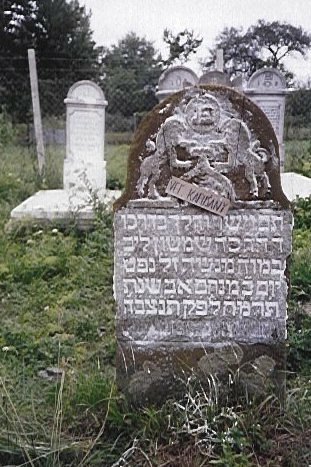 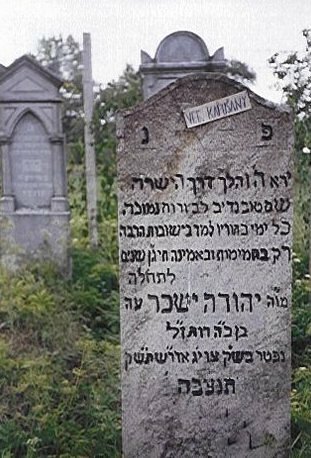 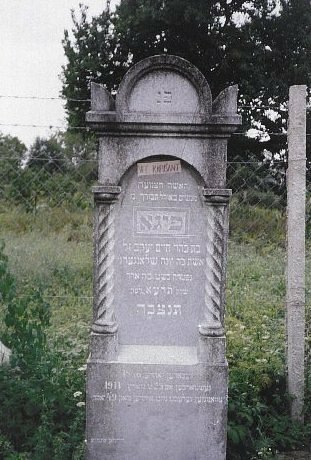 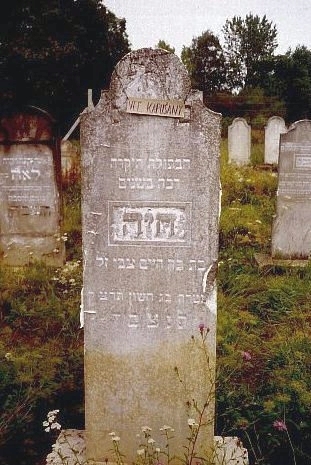 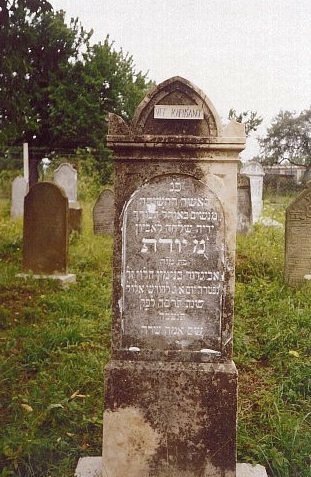 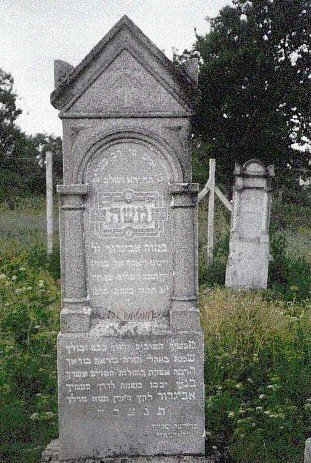 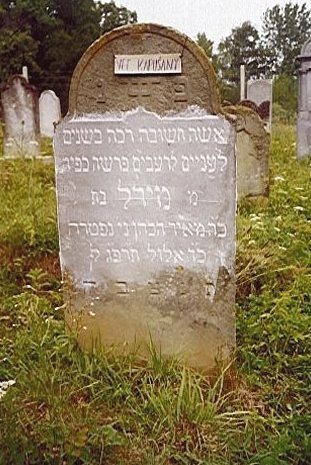 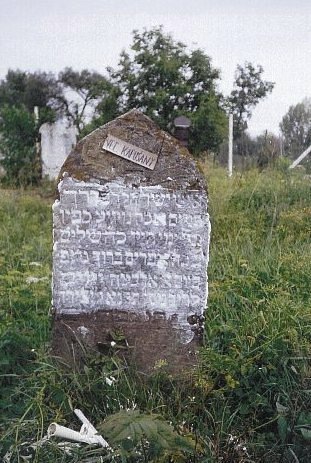 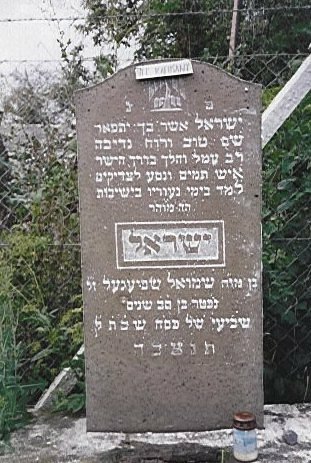 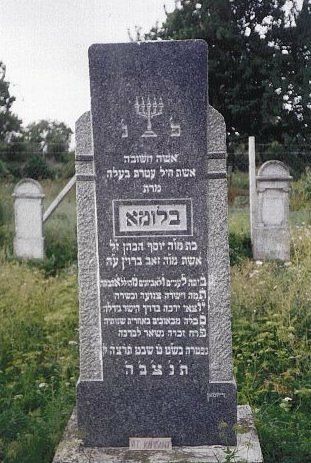 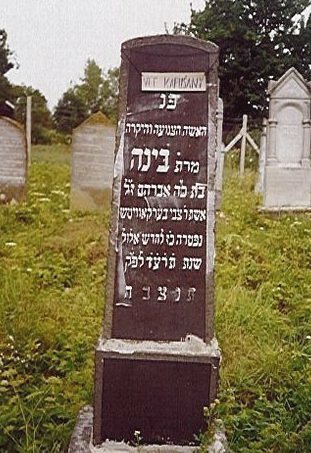 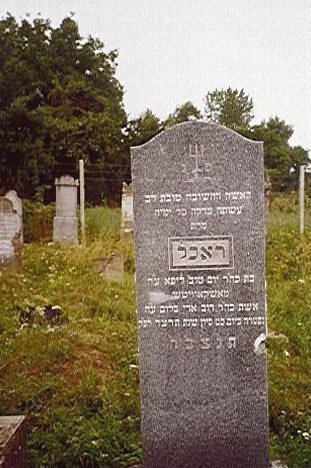 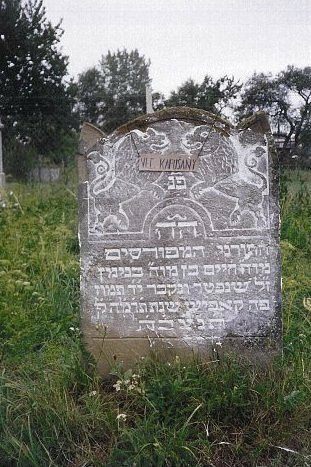 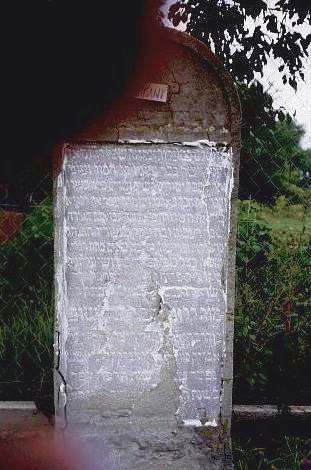 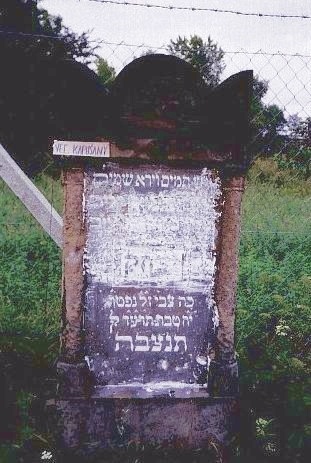 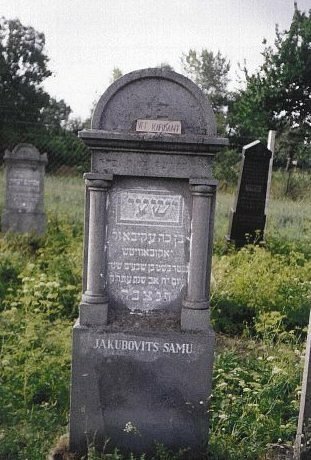 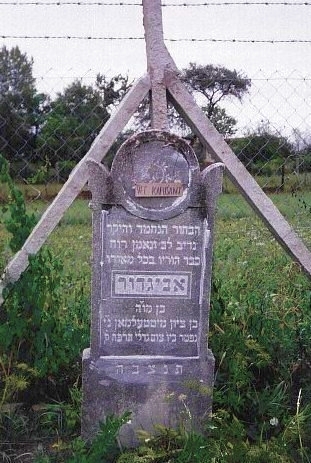 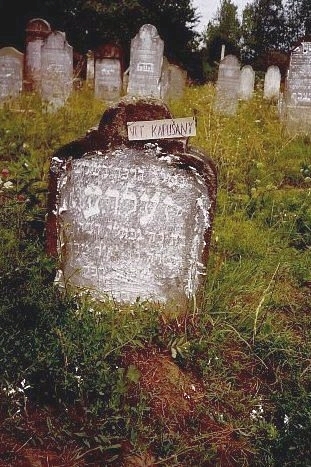 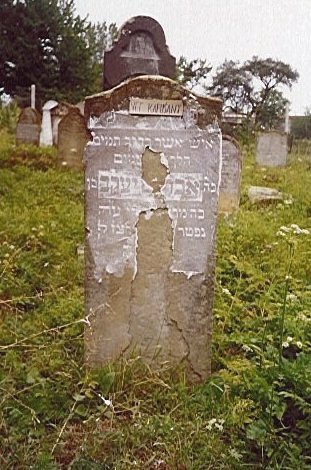 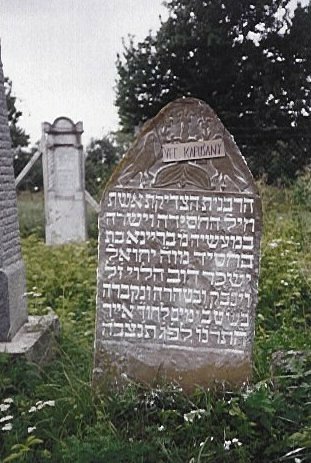 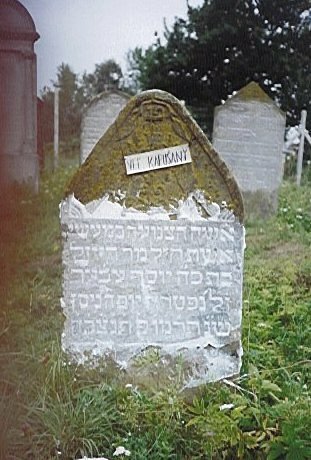 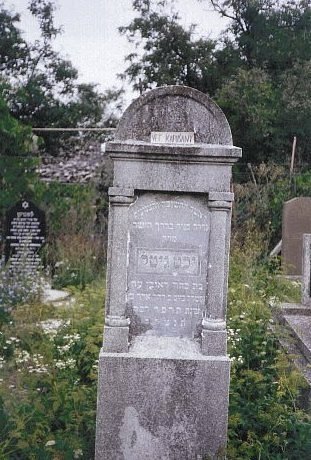 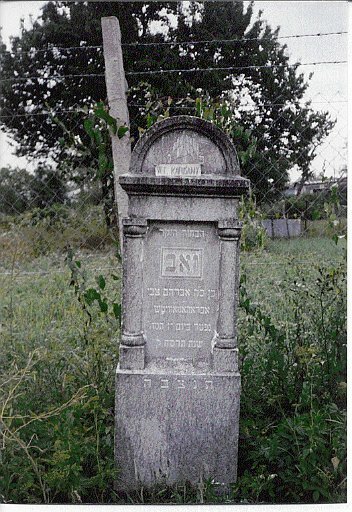 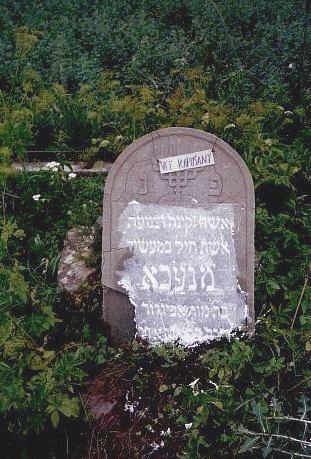 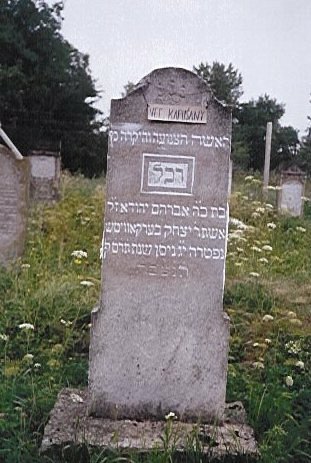 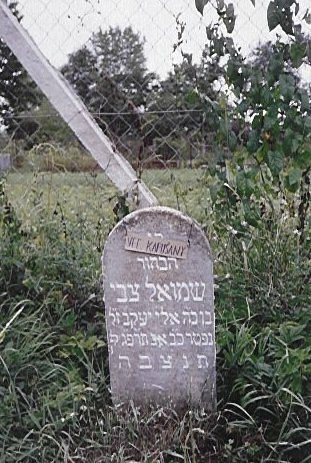 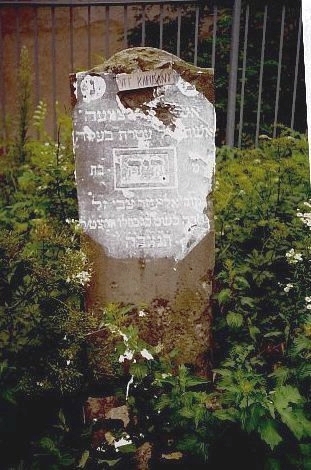 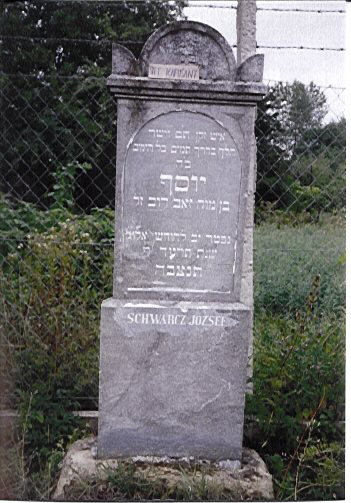 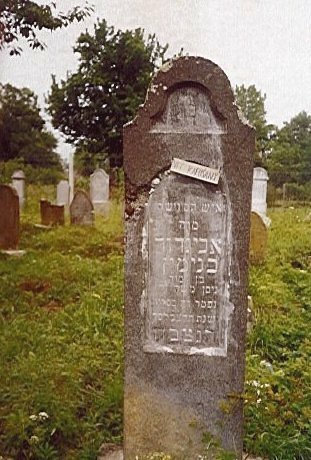 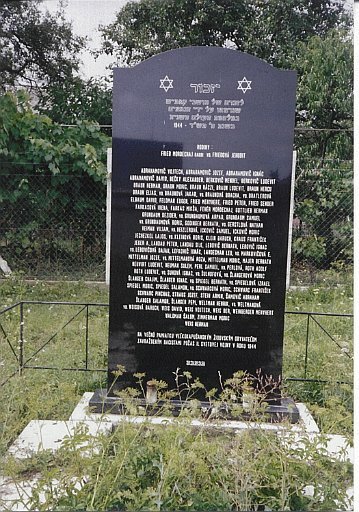 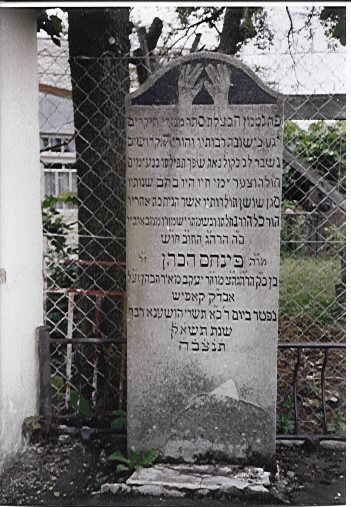 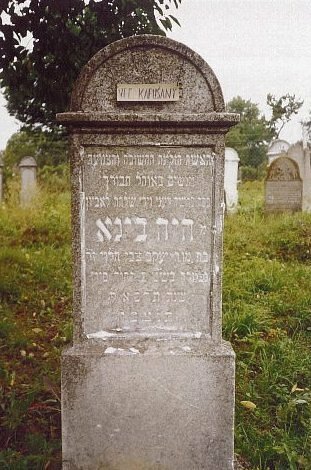 The Jews of Vel'ké Kapušany worshiped in the village synagogue and were usually buried in the village cemetery. 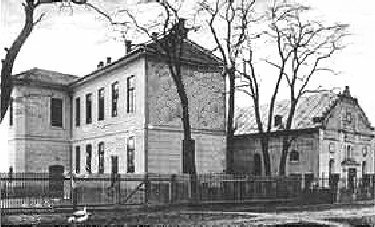 The synagogue (shown, above right) was constructed around 1891 and was located on the main street—Fö utca (presently, Hlavná ulica)—next to a school. 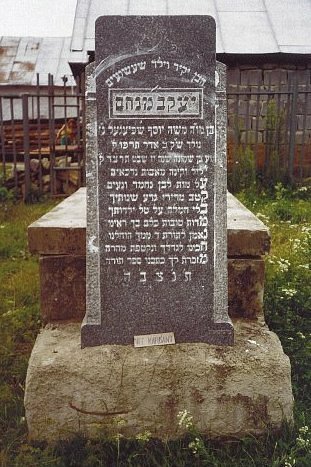 It was a free-standing building with a traditional layout and an upper balcony for the women, in keeping with Orthodox prayer customs. 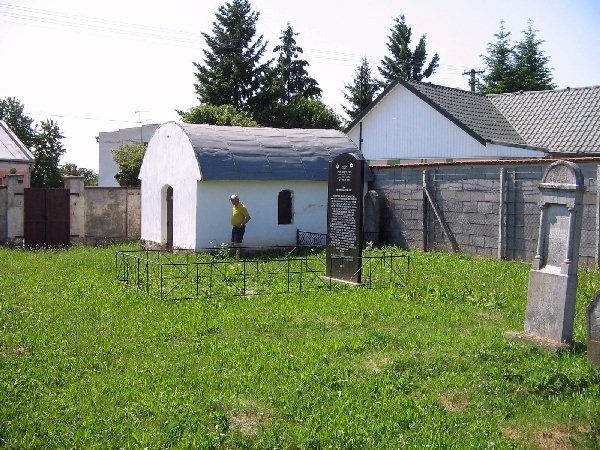 The men entered through the main entrance, facing the northeast, which was flanked by arched windows, while the women's entrance was on the northwest side of the building. 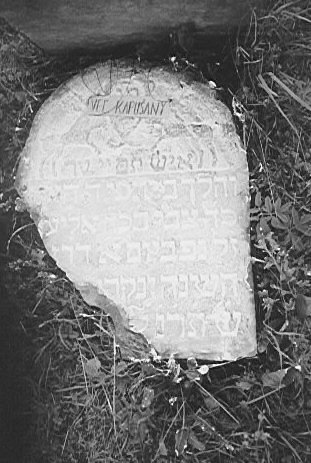 The synagogue was demolished in the 1960's. 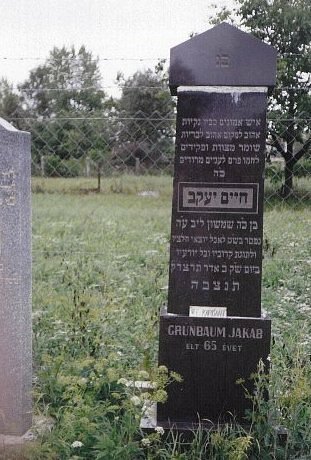 Ladislav (Mo) BLUM was born 11 May 1911 in Nagykapos into a long line of cantors. 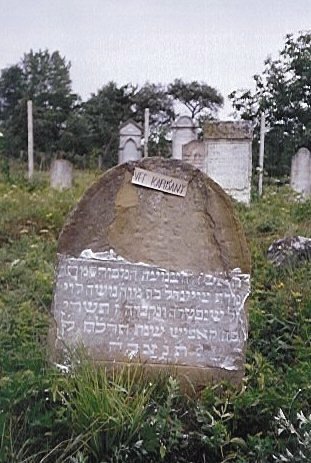 His grandfather, the Nagykapos cantor, schooled him very early as a child in the ritual singing. 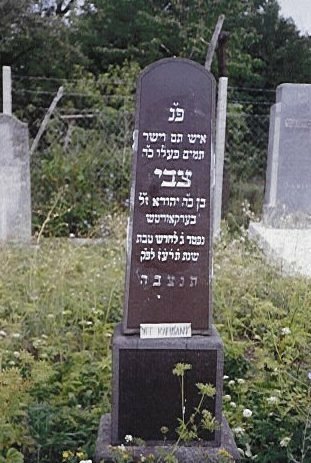 He went to Budapest in 1941. 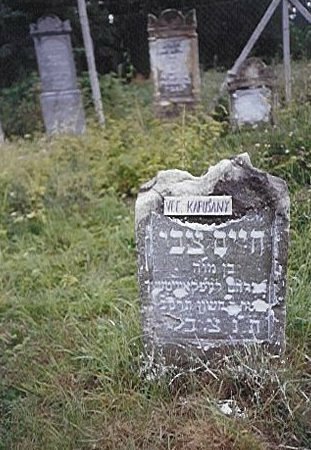 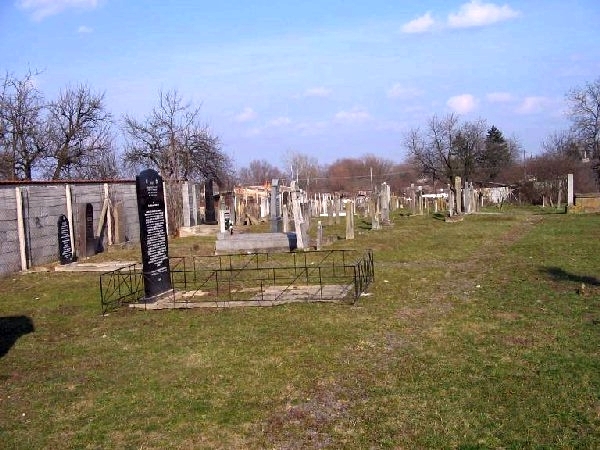 Jewish families that lived in Vel'ké Kapušany and probably the surrounding communities used the Vel'ké Kapušany Cemetery as the final resting place for their loved ones. 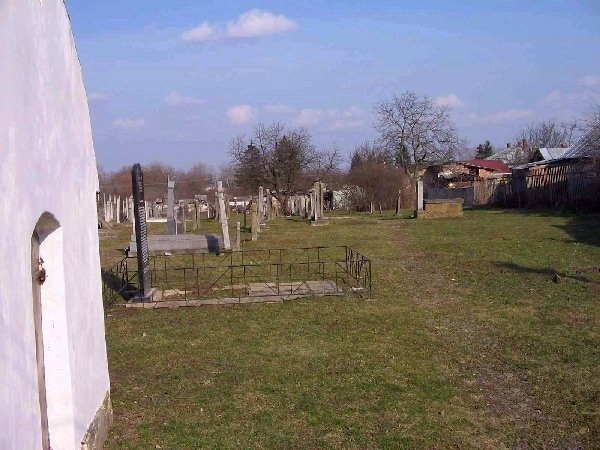 Following is a general map of the cemetery location, satellite view and cemetery/tombstone photos. 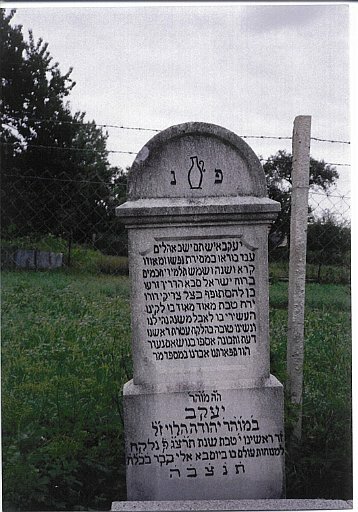 Permission granted for use on this KehilaLink page. 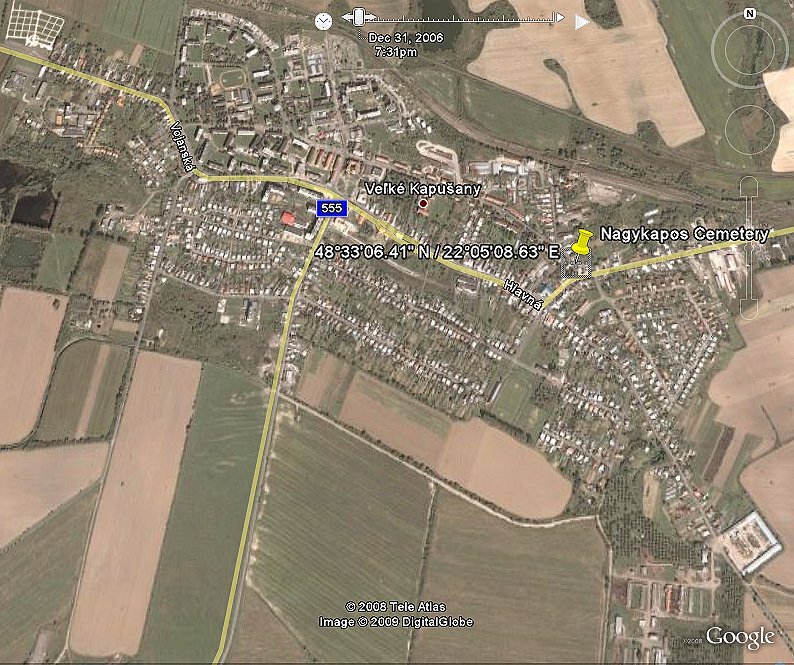 If you have Google Earth installed on your computer, once the program starts, click the "Fly to" tab and copy and paste the coordinates below into the space provided. 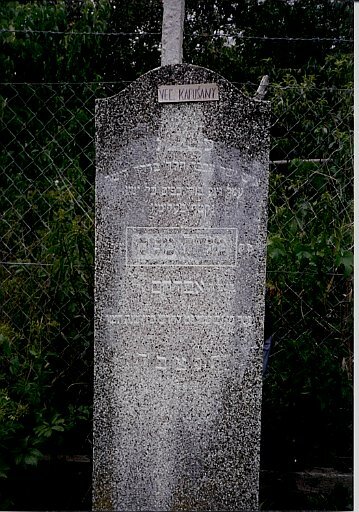 Then click the search button to "fly there." 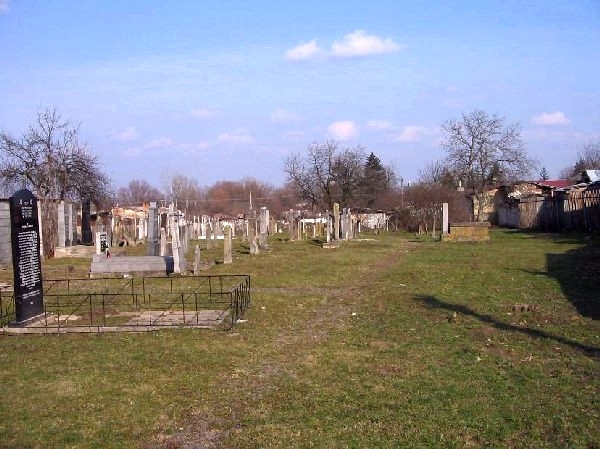 If you don't have Google Earth installed on your computer, click the Google Earth image below to see a screen capture of a satellite view of Vel'ké Kapušany that has an annotation for the old Nagykapos cemetery.